Delaware County Emergency Medical Services has received the American Heart Association’s Mission: Lifeline EMS Gold Award for implementing quality improvement measures for the treatment of patients who experience severe heart attacks. Every year, more than 250,000 people experience a ST elevation myocardial infarction (STEMI), the deadliest type of heart attack caused by a blockage of blood flow to the heart that requires timely treatment. To prevent death, it’s critical to restore blood flow as quickly as possible, either by mechanically opening the blocked vessel or by providing clot-busting medication. The Mission: Lifeline initiative provides tools, training, and other resources to support heart attack care by following protocols from the most recent evidence-based treatment guidelines. Mission: Lifeline’s EMS recognition program recognizes emergency medical services for their efforts in improving systems of care to rapidly identify suspected heart attack patients, promptly notify the medical center and trigger an early response from the awaiting hospital personnel. 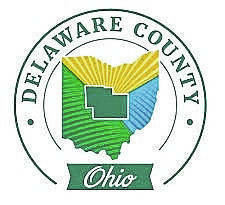 For more information about Delaware County, go to www.co.delaware.oh.us.